How to Buy a Car after Bankruptcy. Here are the Steps. When it comes down to purchasing a car after bankruptcy, you should know a lot about it before jumping right in. There are steps involved, and you want to make sure you make the most of them when it comes time to apply for the loan. Having a bankruptcy does not mean you should give up and automatically think you will not be able to finance a car. You're able to get the most out of the auto loan, while having the company put your trust into it at the same time. You can make sure to get the most out of it as well when you find out what you need ahead of time. This can be something worth looking into when you need a vehicle to use. You will want to use the easiest way to obtain a car loan with a company that doesn't mind working with you, even if you have had a bankruptcy before. You might have to negotiate a little more, and work on it a little harder but it can be done. You might have to also wait a little longer to be approved. Find out what steps need to be taken when buying a car after bankruptcy. 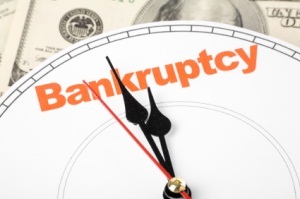 Wait until you have a discharge on the bankruptcy that is on your credit report. A lot of the lending institutions out there will not try to work anything out with you until this point in time. Once it has been discharged, you will want to start over and make sure each and every one of your bills is paid on time, all the time. This shows creditors that you're credit worthy enough to lend money too. You will want to have a print out of your credit report to know what exactly is on it. You want to make sure those accounts that were supposed to close are closed. You also want to make sure that everything is as it seems. Sometimes things sneak up on you, and you want to make sure you're on top of everything. This is the only way to make sure. Make sure to budget and find out what exactly you can afford when it comes to the overall and payment price of a vehicle. You want to keep in mind that a vehicle loan after bankruptcy also carries higher interest rate which causes the payments each month to be higher, for the same loan amount, then they would have been before the bankruptcy. You want use a service, such as FundingWay.com that specializes in helping people get a car loan after bankruptcy. We specialize in finding these types of loans for those people that have been through this problem . Take advantage of our experience and what we have to offer. You will also want to refinance the car loan that you get after a few years of making your payments on time. You should be able to qualify for a lower interest rate so you do not have to pay so much on the vehicle. This is always a good option when you first get the loan at a higher interest rate due to credit problems.